No matter what industry you work in, you need to be prepared for emergencies. But that’s especially true for those in the healthcare field. Proper first aid and emergency training are a central part of OSHA compliance for a safe and healthy workplace. This training gives participants the basic tools they need to respond to a life-threatening situation, including tips for recognizing and stabilizing emergencies until medical personnel arrive. Participants are certified by American Heart First Aid Standards which meet OSHA compliance. Participants receive a two-year certification. Instructors are professional Arizona firefighter paramedics who bring real-world experience and extensive knowledge. Classes are available in English or Spanish. Learn how to respond to cardiac or breathing emergencies until medical personnel arrive. 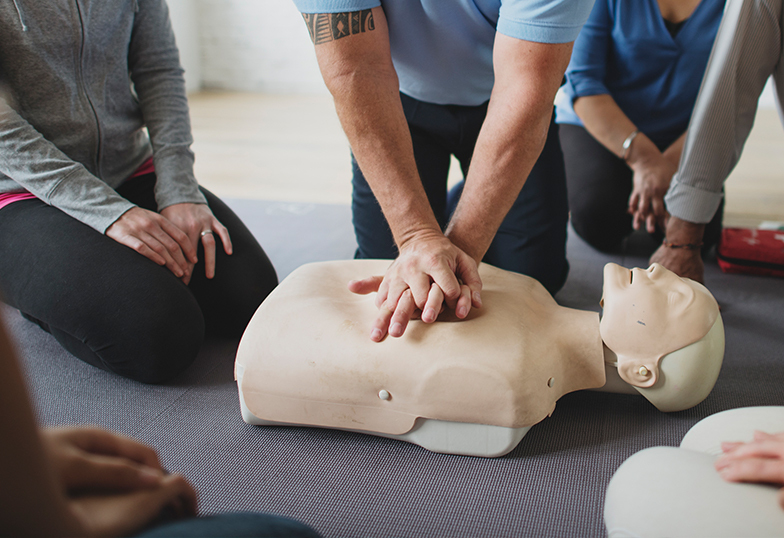 From assessing needs to making decisions to providing care, our CPR and AED training course provides the skills you and your staff need in an emergency. Course covers adults, children and infants, as well as obstructed airway and automatic external defibrillator training (AED). Participants are certified and taught American Heart Association CPR. A customized course is offered for healthcare providers.